Dominion offers a proven classical approach using primary sources and a chronological study of the humanities. All courses are taught from an integrated Biblical worldview perspective. Emphasis is placed upon developing virtue, character, and wisdom as students invest time in great books from the Western Canon. 100% of our teachers are highly qualified to teach in their respective fields. 100% of our graduates gain entrance into colleges of their choosing. Fully accredited with the Southern Association of Independent Schools (SAIS). 25% of graduating seniors have earned a National Merit Scholars letter of commendation or National Merit Scholars Semi-Finalist status. 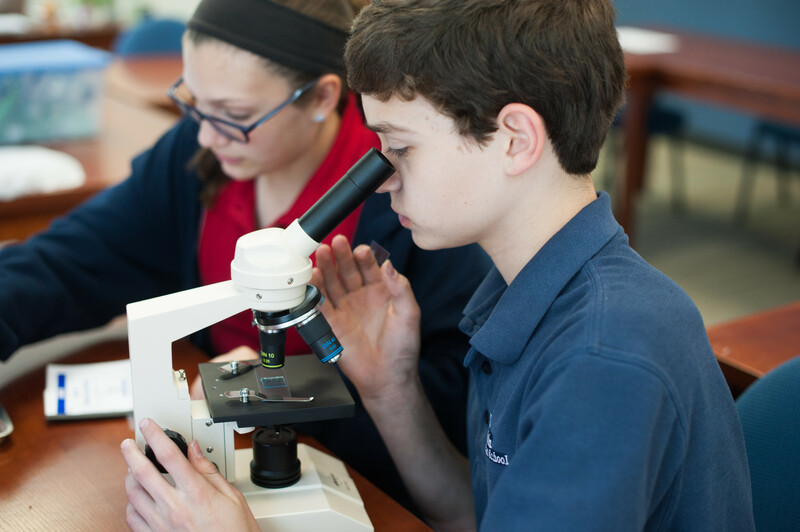 Approximately 70% of upper school faculty members hold or are pursuing advanced degrees. Students earn two high school credits of Latin by the end of eighth grade and up to four high school credits of Spanish by graduation. Courses are offered in chorale, classical guitar, drama, visual arts, library, and physical education or athletics. Competitive athletic offerings currently include basketball, cross country, golf, volleyball, and soccer. Approximately 18% of Dominion students are minorities. In 2016-2017, approximately 10% of the operating budget was used for tuition assistance. Dominion represents dozens of churches in the Fairfax, Arlington, Loudoun, and Montgomery County areas. Dominion draws students who carpool from as far away as Sterling, Centreville, McLean, Annandale, Ashburn, and Springfield. 100% of Dominion students score higher than the national average on the high school SAT.